Somewhere in the space between Luke Skywalker’s light saber and your cat’s red dot nemesis, there is a world of healing. You can find that healing at KVH. 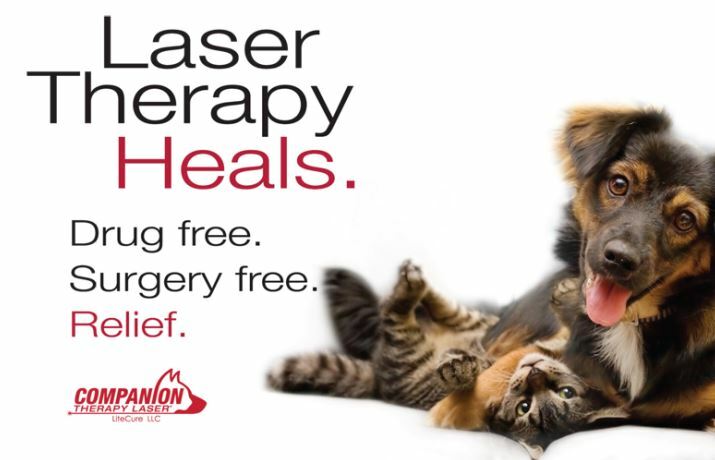 We’re excited about therapeutic laser treatments and we think you will be too. It is FDA approved and scientifically proven.It won’t burn or cut like a surgical laser, but puts substantial amounts of light energy exactly where it is needed to make meaningful changes at the cellular level.This creates a cascade of beneficial effects, accelerating blood flow and cellular healing, decreasing inflammation and reducing pain. If all it did was reduce pain, it would be a miracle for many pets with chronic conditions like osteoarthritis. Many of our clients struggle to find a balance between the benefits of NSAID pain relievers and the long term organ damage they can cause. A drug free alternative is a welcome medical advance. But it does so much more! Whether speeding the healing of wounds and surgical incisions, reducing inflammation in an infected ear so the medicine can get where it is needed, or helping to reverse periodontal disease… it is a game changer in the way we practice medicine. The laser we choose matters. Knowing this, we did a full year of research and chose the CTX Companion Therapeutic Laser. It is the same Class IV laser used by the Boston Red Sox to speed healing, reduce inflammation and get athletes back on the field—all the same things we want for our pets. 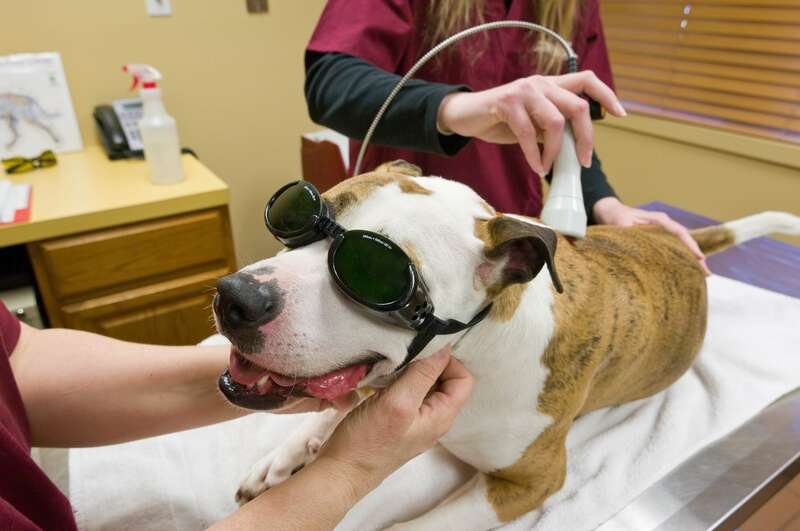 Want to know if therapeutic laser treatments can help your pet? There's only one way to find out. Ok, there are two. You can call us at 207-985-4277 or you can submit this form.